From cycle rides to coffee mornings, fashion shows to challenging treks – whatever you love to do, you can do it for CBM! Test yourself to the limits, celebrate a special day with family or just have some fun with your friends. Your fundraising event can change the lives of people living with blindness or other disabilities in the world's poorest communities. Helping promote your event in your local area. Why not run, walk, bake or swim and support our See the Way appeal, helping people with sight problems in the world’s poorest places to See the Way to a brighter future. 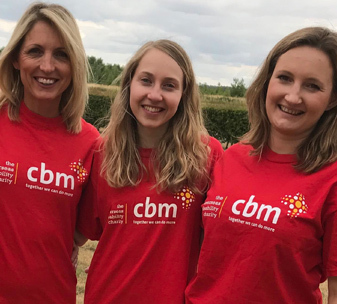 A team of staff from the CBM office in Cambridge is supporting the See the Way appeal by embarking on a 12 week step challenge to raise vital funds for the See the Way appeal. 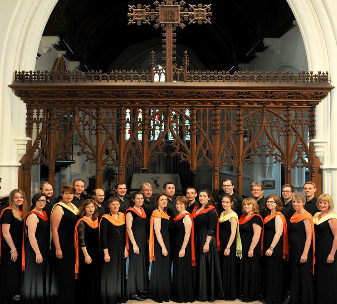 As part of CBM UK’s 21st birthday celebrations this year, Cambridge Chorale, former finalists in the BBC Radio 3 Choir of the Year competition, will be singing in aid of CBM’s work.